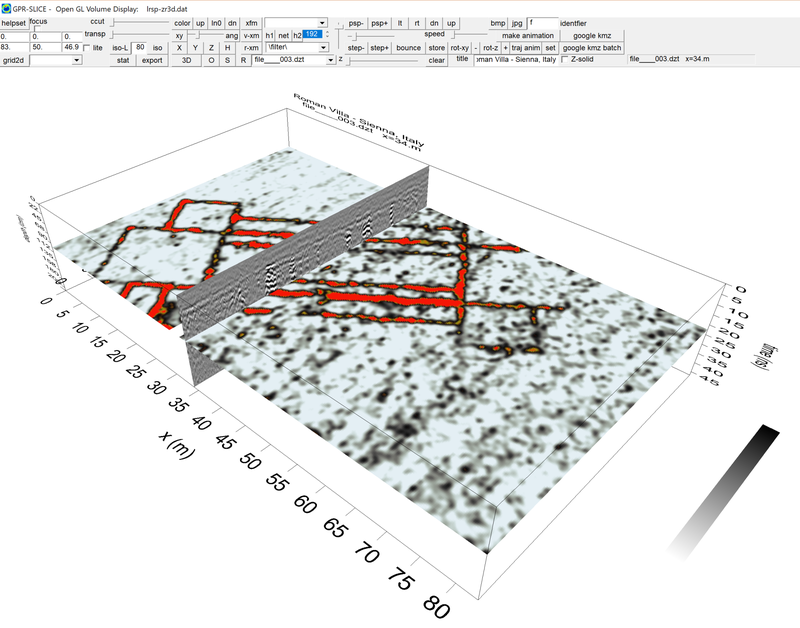 GPR surveys made in conjunction with Dr. Salvatore Piro, CNR Rome and Yasushi Nishimura, Narabunken Japan. One area surveyed at the Villa of Roman Emperor Traianos revealed a large oval shaped structure. This is estimated by archaeologists to be a garden pond that was probably used for domesticating eels - eels that were incorporated into a fish sauce to be eaten by the emperor. The rectangular anomalies are believed to be military buildings on the villa premises. In the radar image other buildings colocated under the oval but weaker in reflected amplitude suggest that an earlier occupation of the site may have existed prior to the construction of Traianos' villa getaway. The 3D radar volume was created from radar profiles collected at 0.5m intervals. 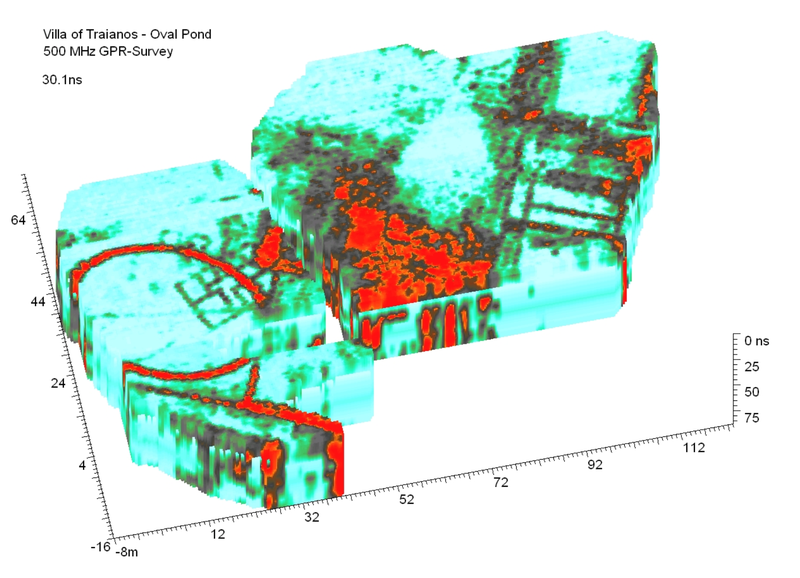 GPR surveys made in conjunction with Dr. Salvatore Piro, CNR Rome and Yasushi Nishimura, Narabunken Japan, revealing a 2nd century amphitheatre with 8 entrances, that was previously unknown to exist at the site. The shallowest map shown some remnant features that may be associated with gladiator training facilities. 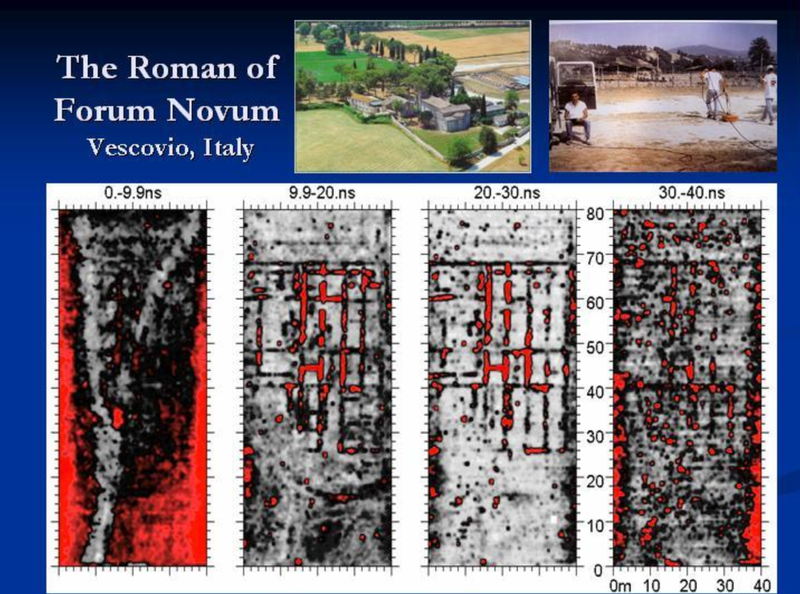 GPR surveys made in conjunction with Dr. Salvatore Piro, CNR Rome and Yasushi Nishimura, Narabunken Japan showing susurface foundations of walls from a 2nd century Roman market place. 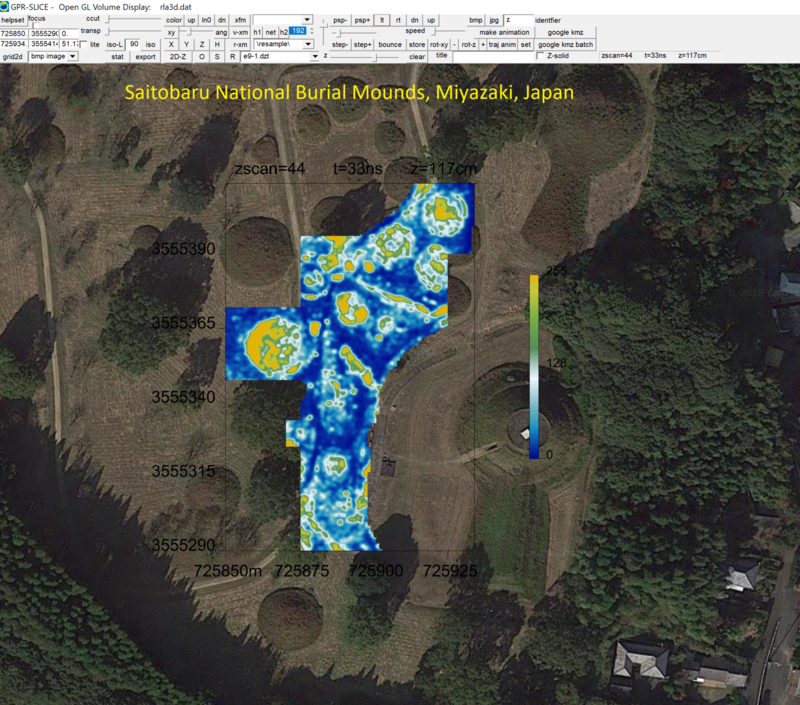 GPR surveys made in conjunction with Higashi Noriaki and Hongo Hiromichi from the Saitobaru Museum in Miyazaki Prefecture Japan. Destroyed burials and some intact subsurface chambers are imaged. 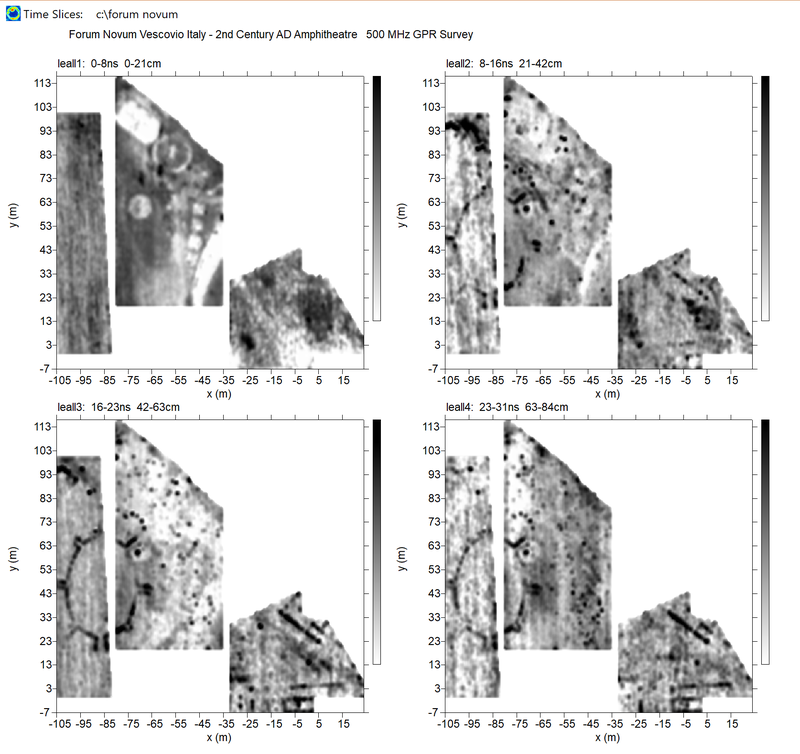 GPR surveys made in conjunction with Dr. Salvatore Piro, CNR Rome on a destroyed Roman villa near Sienna, Italy.